Does your bar need to be replenished? Last week's dinner party cleaned out your liquor selection and now it's time to restock it with all of your favorite spirits. 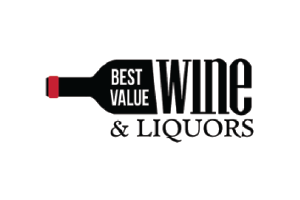 When searching for a liquor store in West Seneca, NY, you won't be disappointed with your experience or the wine and spirits at Best Value Wine & Liquors. If you're planning another party or just need a couple essentials for your dinner, you're sure to find a vast assortment of liquor and wine for sale at our local liquor store. Visit our liquor and wine shop in West Seneca, NY today and head home with all of your favorite wine and spirits. Our staff is knowledgeable and friendly. If you have any questions about our inventory or need recommendations, we're happy to assist. As a family owned and operated business, we've been serving the West Seneca, NY community since 2014. We welcome newcomers to our fully stocked liquor store. Contact us today to inquire about our wine or liquor selection in West Seneca, NY. At Best Value Wine & Liquors, we like to keep our customers updated on all of the latest and greatest happenings. Whether we have an upcoming tasting at our wine shop in West Seneca, NY or a phenomenal special on wine and spirits, you'll know about it from our weekly email club. If you're not sure what you want to drink, our email updates are great inspiration for trying something new or finding a wine on sale. We strive to make your experience at our liquor store a great one. Sign up for our email club today to take advantage of weekly beverage specials in West Seneca, NY.